The 2019 IIE Victor J. Goldberg Prize for Peace in the Middle East nomination cycle is now open. 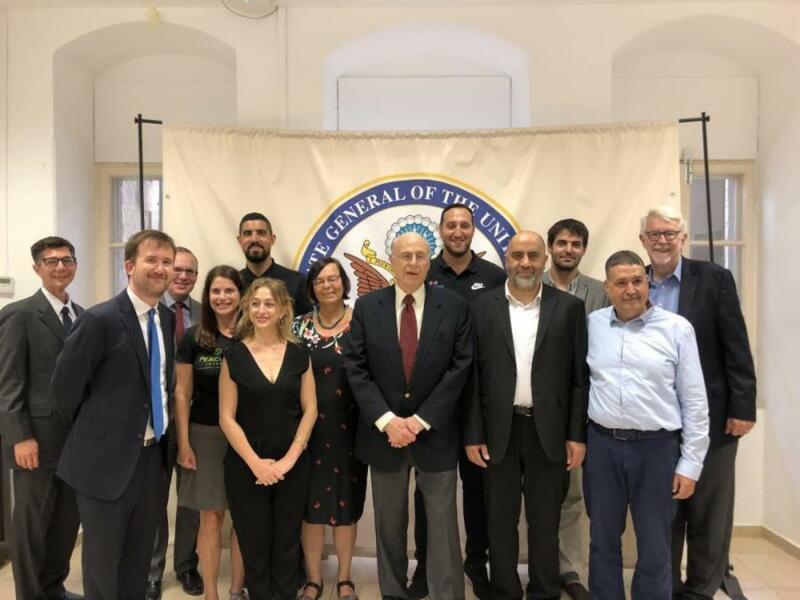 IIE awards the IIE Victor J. Goldberg Prize for Peace in the Middle East annually to recognize outstanding work being conducted jointly by two individuals, one Arab and one Israeli, working together to advance the cause of peace in the Middle East. The two individuals whose work is judged to be most successful in bringing people together and meeting the goals of the Prize share a US$10,000 prize. The winners are selected by a prestigious international selection committee. Award ceremonies are generally held each June, along with public announcement of the winners to press and social media. In 2019, the Prize will be celebrating it’s 15th anniversary of recognizing and supporting continued work towards peace. To recognize the full range of excellent work being done in this very difficult and important area, IIE is encouraging applications from any two individuals from Arab and Isreal whose activities meet the criteria and goals outlined above. Eligibility in the past was limited to teams in which one member had some prior connection with IIE’s programs or sponsors. Such prior connection will still get preference in close judgements, but will not automatically determine the winner. For more information, visit IIE Victor J. Goldberg Prize.